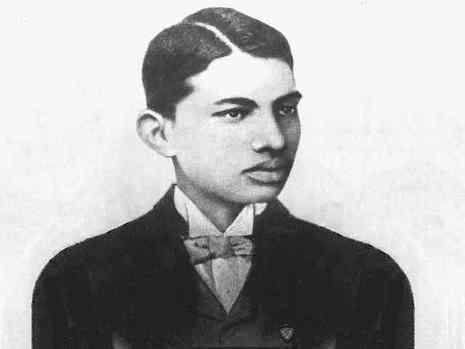 On 4 September 1888, less than a month shy of his 19th birthday, Gandhi traveled to London, England, to study law at University College London and to train as a barrister. He had promised his mother before leaving India that he would not "touch wine, woman or meat". The vegetarian vow became a continual source of embarrassment to him. His friends feared that his food fads would ruin his health, and make of him, socially, a square peg. To disarm his critics and to prove that, vegetarianism apart, he was not impervious to the new environment, he decided to put on a thick veneer of ‘English culture’. Having made up his mind to become an ‘English Gentleman’, he spared neither time nor money. Whatever the cost, the veneer had to be the best in the market. New suits were ordered from the most fashionable tailors in London; the watch was adorned with a double gold chain from India; under expert tuition, lessons began in elocution, dancing and music.